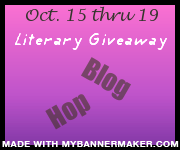 Hosted by Judith @ Leeswanne's Blog the Literary Giveaway Blog Hop runs from Oct 15 thru Oct 19. Over 50 blogs participating all offering one or more giveaways of books or bookish items. All books are literary (non)fiction or something close to that. One winner can choose one book from the three pictured below which will be sent from The Book Depository. I selected these books because the authors all have a connection with New Zealand........and they're all great reading,of course. 1. 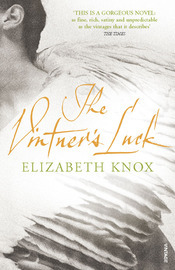 The Vintner's Luck by Elizabeth Knox.............."One summer evening in 1808, Sobran Jodeau stumbles through his family's vineyard in Burgundy, filled with wine and love sorrows. As Sobran sways in a drunken swoon, an angel appears out of nowhere to catch him.Once he gets over his shock, Sobran decides that Xas, the male angel, is his guardian sent to counsel him on everything from marriage to wine production. But Xas turns out to be far more mysterious than angelic. " 2. The Circus of Ghosts by Barbara Ewing..........." New York, late 1840s, and in the wild, noisy, brash and beautiful circus of Silas P. Swift a shadowy, mesmeric woman entrances crowds because she can unlock the secrets of troubled minds. Above them all her daughter sweeps and soars: acrobat and tightrope-walker. People cannot take their eyes from the mysterious woman in the Big Top who can help so many others ? but she cannot unlock dark, literally unspeakable, memories of her own." My review. 3. Novel About My Wife by Emily Perkins........" Pushing forty and expecting their first child, Ann and Tom buy their first, semi-derelict house in Hackney. They believe this is their settled future, despite Tom's stalling career and their spiralling money troubles. But Ann becomes convinced she's being shadowed by a local homeless man whose presence seems like a terrible omen." - Dark, sensuous and utterly compelling, "Novel About My Wife" is a taut, chilling novel about the need for escape and the perils of forgetting. Entries will close 8am Thursday 20th (NZ time) - this will be UK 8pm Wednesday 19th. The winner will be chosen by random org. , contacted by email and will have 48 hrs to respond - no reply and I'll draw another winner. Please enter me for The Circus of Ghosts by Barbara Ewing. The Circus of Ghosts sounds the best! But all those books are surely awesome, thanks for the giveaway! Great giveaway. 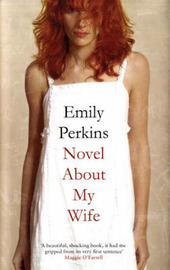 Novel about my wife by Emily Perkins sounds great! I would love to win Novel About My Wife by Emily Perkins. The Vintners Luck please. I like that period in time. Wow, they all sound really good. I would really love to win Circus of Ghosts! I haven't heard of any of these books and they all sound intriguing. Novel About My Wife is the one I would pick. Thanks for the giveaway! Some interesting choices, that I was unaware of thanks & please put me down for Vintners choice. Circus of Ghosts sounds Fabulous and I would love to win it! Vintner's luck has been on my wishlist for quite some time. Please enter me with that one. Thanks. Hello, I would like to enter to win Novel about my wife. My email is cerievans1[at]gmail[dot]com. thanks! I would love to read the Vinter's Luck. After reading your review, I would love the chance to win a copy of The Circus of Ghosts. Many thanks for your generosity! Thanks for the great giveaway:) I would like to win a copy of Novel About My Wife. I'd love a chance at novel about my wife. Thanks! I would like to read The Vintner's Luck by Elizabeth Knox. I would love to read The Circus of Ghosts, it sounds really good. I'd love a chance to read The Circus of Ghosts, please. The Circus of Ghosts, please? I would like to win Novel About My Wife by Emily Perkins. Thanks for the giveaway. I would like to win Novel About My Wife. 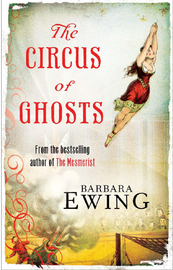 The Circus of Ghosts by Barbara Ewing sounds fantastic. Thanks for the giveaway. I chose the Circus of Ghosts! Thanks for hosting the giveaway! I'd love the chance to read The Circus of Ghosts. I'd love to win The Circus of Ghosts; it sounds amazing and exactly like a story I'd enjoy immensely..! thank you for the giveaway! I would like to win The Circus of Ghosts by Barbara Ewing. How nice, books with a NZ connection. I don't come across them very often. I'd love to win Novel About My Wife. Sounds very interesting. Thanks for the giveaway and for participating in this blog hop! I would LOVE to read "The Circus of Ghosts". I'm quite intrigued with The Vintner's Luck. I'd love to read it! I have to read The Circus of Ghosts, even if I don't win it here. It sounds amazing! I've been on a bit of circus kick lately, and this is a title that I hadn't heard of yet. And I love that I've learned something about some New Zealand authors. I would choose Novel About My Wife, sounds intriguing. I would love to win "The Circus of Ghosts"
Thanks for the giveaway! I'd love to win The Circus of Ghosts... it sounds awesome! I just finished The Night Circus recently, so I'm in the mood for more circus books! I'm on the giveaway hop too, so I hope you'll stop by! Sounds like a great prize, thank you for the chance! edysicecreamlover18@gmailDOTcom Not sure yet about the book! I would love to win The Circus Of Ghosts! I would like to be entered for Novel About My Wife. I would love to read THE CIRCUS OF GHOSTS thank you. Thanks for the giveaway. I'd choose Novel About A Wife - it sounds intriguing! I'd love to win The Circus of Ghosts by Barbara Ewing! Thanks for this amazing giveaway! I would love to win The Circus of Ghosts! I'm so glad I found out about your blog. It's great you're participating in the hop! I'd like to enter for Novel About My Wife. It sounds nice a spooky. Wow, that's a tough choice! I think I'd go with Novel About My Wife. I'm at thejoyofbooking at gmail dot com. wow, love your titles and I would go for The Circus of Ghosts by Barbara Ewing, after reading the review! Book Choice: The Circus of Ghosts by Barbara Ewing. Please enter me in the draw, and thanks for the giveaway! I would love to win: The Vintner's Luck. Thanks for the giveaway! I think The Circus of Ghosts looks fascinating. New GFC follower - I've already found new books to read (I'm a fan of historical fiction) just from the first couple of posts I've glanced at! I'd like to win Novel About My Wife by Emily Perkins, please. I would love to win The Circus of Ghosts by Barbara Ewing. Haven't read NZ literature so would love to win any of these books but The Circus of Ghosts seems the most intriguing. Please count me in for The Circus of Ghosts by Barbara Ewing. I think The Circus of Ghosts would be my pick. Thanks for the chance to win. All three of these books really look good. I would have to pick The Circus of Ghosts. Thanks for the great books in this giveaway. I would love to read "Circus of Ghosts"! Thank you for the opportunity. I would like to read Circus of Ghosts. If i were to win i think i'd chose The Vintner's Luck by Elizabeth Knox. i am also a blogger (new) focusing on three niches with one of them being books and reading. i posted my first book review just last night. anyways, thanks again and happy blogging! I'd love to win The Circus of Ghosts. Please count me in for The Circus of Ghosts. I'd love to have The Circus of Ghosts. Thanks for the giveaway. These are all new titles for me but after careful consideration... Novel About My Wife would be my choice. Thank you for this awesome giveaway! :D I would love to read The Circus of Ghosts by Barbara Ewing. well since i was a magicians assistant in the circus and met my husband there i will choose the circus of ghosts.